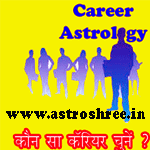 Real career for real success, career astrology, jyotish for career guidance, 'Astrologer Astroshree' for guidance related to career, Important houses in analysis, list of fields to make career. Choosing career is one of the toughest job in life. Parents are also worrying about this most important part of human life. From high school parents are thinking about the career and as per that they choose subject for the child. A wrong decision will change the whole life at this time. So keen reading of horoscope is needed at this time. So astrologer perform a vital role in this area. 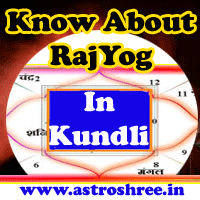 I have many times cleared in my articles that kundli or horoscope is the mirror of human life. It reveals many important thing about the person. So by analysing the horoscope, jyotish try to know the planetary impacts in life and then suggest the best field for livelihood. Some choose career as per nakshatra, some choose field as per zodiac, some choose as per the karma house in the kundli but one thing is very important to check the compatibility among all and then decide the exact career for the person. So it is very important to analyse every thing in horoscope deeply to suggest any specific field of livelihood. Sometimes it is also seen that many person has adopted their hobby as their career and they are success and satisfied too. Ist house shows the type of mind and it is one of the most important factor in analysis of career. 2nd is the study of profit place which shows how the person will get profit. Next is study of karma place which also shows which type of work is good for the person. Study of income place which shows how the income will be in life. One important part is the study of power planets which also helps in deciding the career. Stars and zodiac are also studied in this regard to finally decide the career. First of all it is important to know that business is suitable or services is best for the livelihood. Then after it is necessary to move on different parts of decision. If business is suitable then many types of opportunities are there like as whole sale business or retail and of which product. In the service sector there are many types of fields like as leader in politics, scientist, government service etc. If you want to be an entrepreneur then following fields are open for you - As a doctor you can serve the society, as an shop owner you can make your own brand image, by establishing an industry you you can make your own name, becoming an astrologer is also a good field. If you are very creative then advertising field is there, designing field is there, entertainment industry is also there. For adventurous people journalism is there, event management field is there, career in adventure sports is also a good field. For logical minded person law field is there, detective agency is there, analyst field is there. For females also many career like as starting coaching classes, cookery classes, mehandi classes, vocational training classes. So teaching field is one of the best option for career. For the fickle minded person marketing field is there, photography field is there, film industry is there. Hotel industry is there, restaurant is also one of the best career for entrepreneurs, jim. Consultancy services are also one of the best option of livelihood. As an employee person become accountant, secretary, clerk, PRO, Manager, front office executive, back office staff etc. There are career in defence services like army, navy, air force. You can find great opportunities in private and public sectors, the only thing which is needed is passion and right action at right time. So there is too many career option for the performers. So don't worry just come out from the limited world of thinking and see sky is the limit for you. How To Get Highest Position As Per Astrology?